Leicester-Shire & Rutland Sport (LRS) is governed by a number of Board members who bring with them a wealth of skills and knowledge. Their aim, to support Leicester-Shire & Rutland Sport in achieving its key objectives to increase participation and widen access to sport and active recreation. An enthusiastic, passionate and committed individual who operates at a strategic level as Chief Executive of a large District Council in North West Leicestershire where effective partnerships are vital, providing clear visible leadership over a wide range of service areas and specialisms that directly impact the quality of life of its residents. The District is the fastest growing economy outside London, encompassing transport and distribution sectors, the Heart of the National forest and hosting East Midlands airport. I am experienced in delivering both social and urban regeneration in North Nottinghamshire and have led the development of the Health and Housing work streams in partnership with Health colleagues recognising the role that green spaces, housing and sport have in contributing to people's ability to live healthy independent lives. Physical Activity is one of the 'best buys' organisations can make in helping improve the health of the population. As a Board member, I'm proud of the energy and organisation LRS bring to their work in helping people be more active. Simon Cole took up his position as Chief Constable of Leicestershire in June 2010. He is responsible for leading the Force as it seeks to protect our communities, heading up the Chief Officer Team, and managing relationships with key external partners. When not at work Simon is a committed family man with a son and daughter. He is a keen sportsman, playing tennis, coaching and refereeing junior rugby and enjoying watching Leicester Tigers when work allows. He Chairs the Police Sport UK National Lawn Tennis Section. Mary enjoyed a broad business career at senior management level before "retiring" to follow her passion to establish a small Community Interest Company in rural Rutland to inspire sporting, fitness and activity achievements at all levels. Mary brings experience of working within and between public and private sector organisations, leading significant contractual negotiations and delivering projects to tight deadlines with an inherent quality ethos. She also sits on the Board of British Triathlon Federation with a strong understanding of the governance framework required to underpin sporting success. A lifelong sportswoman, Mary notably captained England Junior Ladies Cricket Team, played hockey for British Universities and was an Age-Group Sprint Triathlon and Aquathlon Worlds gold medallist in 2011. As a Level 3 BTF Coach and Mentor she hugely enjoys developing athletes and coaches, with special interests in para-sport and open water swimming. I have worked for many years to get more people involved in sport and physical activity. I am passionate about affordable, acessible opportunities for all, across all ages, all abilities and all circumstances. Sport enhances our lives and helps us grow as people. I am delighted to be working with LRS to extend opportunities within our region. Ben Solly is Principal of Uppingham Community College, an 11-16 secondary school for 900 students in Rutland. Before this Ben was Headteacher of Lutterworth College, an 11-18 for 1500 students in Leicestershire. Ben started his career as a PE teacher in the Black Country where he worked as an Advanced Skills Teacher before moving into senior leadership roles in the East Midlands. Ben is part of the editorial board for the weekly educational publication Sec Ed. Amna Rafiq, 22 is currently Community Engagement Officer at Leicestershire County Cricket Club. In under three years as Leicestershire's community engagement officer, she has transformed cricketing opportunities for women and girls in South Asian communities. As Community Engagement Officer, Amna has drawn upon her range of experiences to set up and deliver exciting new projects in just over 2 years. A level 2 coach and cricket lover, Amna has engaged a number of faith groups and schools, as well as leading to recognition in the way of an Asian cricket award and the young volunteer award at the Yorkshire Cricket OSCA's. Balancing Sports Business Management research studies in West Yorkshire with a role in the heart of Midlands has proved challenging in the least but with a determination to impact on the lives of young females through a sport that has given her so much opportunity Amna leads the way for those young females to follow. An inspiration to others finding their way in the game, Amna has supported aspiring coaches to fulfil their qualifications and continues to drive the women's game in areas of low opportunity, further levelling the playing field through Women's softball cricket and Female only street sessions.
" 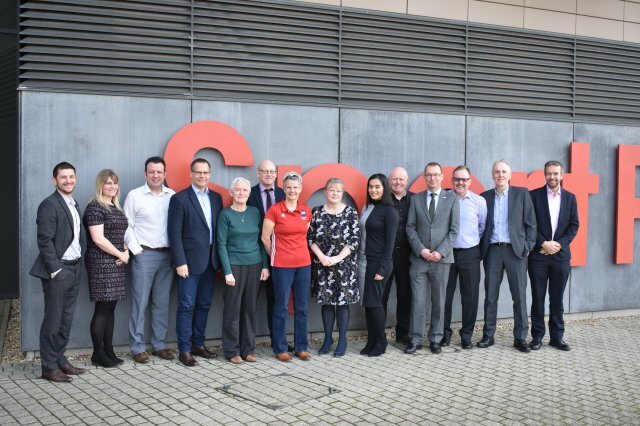 I'm fully committed to working with a highly experienced board full of passionate individuals to get people from all communities, age and background more active in order to tackle the physical and mental health agenda whilst also using sport as a vehicle to bring together the diverse communities of Leicestershire & Rutland." It is an ongoing pleasure to be involved with a a high performing Board supported by an 'Excellent' team of dedicated and professional officers. The challenge of increasing participation, sustaining clubs and developing coaches across all sports and all forms of physical activity is a challenge I will always be happy to take. I hope in the current climate of austerity I can help challenge and bring creativity to each and every opportunity presented. Through sharing my experience of the London 2012 Paralympic Games in schools across the wider Leicestershire and Rutland area, I could be called an 'agent on the inside'. It's a pleasure to be not just on the Board but to be actively engaged with the young people that benefit from the initiatives that we shape and develop for their sporting future. The link between sporting opportunities and the wider well-being agenda is crucial for our communities. Leicester-Shire and Rutland Sport is in absolutely the right place to bring this about. Andy seeks positive impact through social transformation projects using, sport, faith, co-operatives, social enterprises & Foundations. He has a sound grounding in government relations and Sports Policy through his 13 years as the MP for Loughborough and now serves voluntarily on various sport, faith and voluntary organisation boards as well as being a social entrepreneur. I have a genuine passion for sport at every level and believe that I have the links and contacts to use this passion to increase the profile and development of sport in the County. Martyn has served with Leicestershire Police for over 26 years. Throughout his service he has undertaken a variety of roles including working in neighbourhoods, specialist operations and as a detective. In 2014 he became a Superintendent within the newly established Local Policing Directorate with responsibility for Strategic Partnerships and merged both the City and Counties Command teams into one directorate with responsibility of uniformed policing across the communities of Leicester, Leicestershire and Rutland. Additionally during this time he took on the strategic lead for the Volunteers in Policing portfolio, with PCC funding and leadership he increased the number of volunteers working in Leicestershire to 900. His next step was to become the Detective Superintendent Head of Professional Standards, with responsibility for information security, public complaints, discipline, security vetting, disclosure and counter corruption, he also has the strategic lead for counter terrorism response within the force. He remains both a public order and football commander and tactical firearms commander, he has been a qualified and active member of the Hostage and Crisis cadre since 2006 taking on the role as a coordinator in 2011. Bill's day job is Chief Executive at Hinckley & Bosworth Borough Council [rated Excellent in a CPA judgement]. Bill is currently responsible for Development Services, Strategic Partnerships, Culture/Regeneration, Sport, Housing and Community Safety. Bill is also a Board Member (Vice-Chair) of Leicestershire & Rutland Sport – the County Sports Partnership. Bill also works as a volunteer Chair of East Midland Crimestoppers and a member of the charity's National Advisory Board. Bill is a Chartered Town Planner and he has spent much of his career leading major regeneration schemes, having worked in the North East, Hertfordshire, York City and Bedfordshire (where he led on major new settlement proposals). He also chairs Hinckley & Bosworth Health & Wellbeing Partnership and the Regional Growth Fund Partnership for MIRA Enterprise Zone. When he's not playing taxi driver to his three girls, he enjoys surfing, football and tennis. I am deeply committed to the value of PE and School/Community sport and what it can bring to the lives of young people as well as its contribution to neighbourhood renewal. I believe that the strategic approach CSPs bring to sports development will enable real progression for children, young people and adults. As a Director of a company which has sponsored Leicestershire sports events, I have been convinced this is a great way for businesses to support communities ... and that the diverse range of skills, connections and experience within LRS will ensure very effective results.